Frye Island Waterfront Vacation Rental on Sebago Lake, Maine. 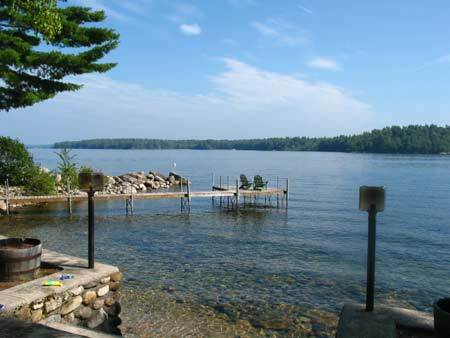 Looking for a Frye Island waterfront summer vacation rental cottage on Sebago Lake? Look no further. Welcome to our Frye Island waterfront vacation rental cottage. The 3-bedroom house has 165 feet of waterfront, a 60 foot dock, a water trampoline, a large yard, and many amenities, such as high-speed wireless internet and a huge movie library. Plus, you get all that Frye Island has to offer, including golf, tennis, and over 10 beaches. This vacation rental house is being offered directly by the owners (that’s us! ), so you'll save on agent fees. Please look around our web site and discover what a wonderful time you can have at our home on Frye Island!